It seems I have re-found this blog of mine…. I thought I was lost again…. Having worked on a couple of things and then spending time catching up on games and books that I had left behind, I have decided to re-open this blog with my most recent practice with Unreal. Its kind of bland work, moving things around in the editor making sure the lighting is good and then creating a small cinematic to show it all off. Now that I am here, this place will probably become a bonfire where I share my tales in Ludos…. or at least I hope it will be…. 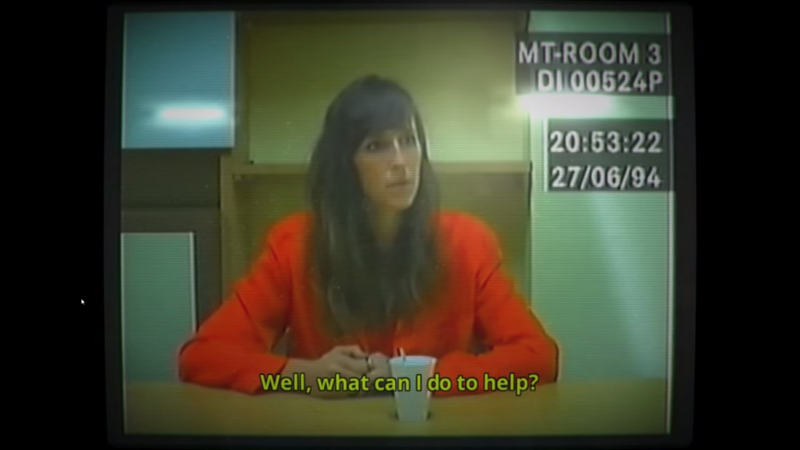 ‘Her Story’ is an interesting experiment in interactive storytelling. While it can be considered more a game than a theatrical piece or an installation, it has many elements of expanded theater. It is my belief that this game is a step in the right direction towards re-defining what storytelling is and draws many parallels to the ‘Epic Theater’ as proposed by Bertolt Brecht. At the same time it may be what could be the first steps towards creating audiences that possess an affordance and are capable of constructing their own narrative. 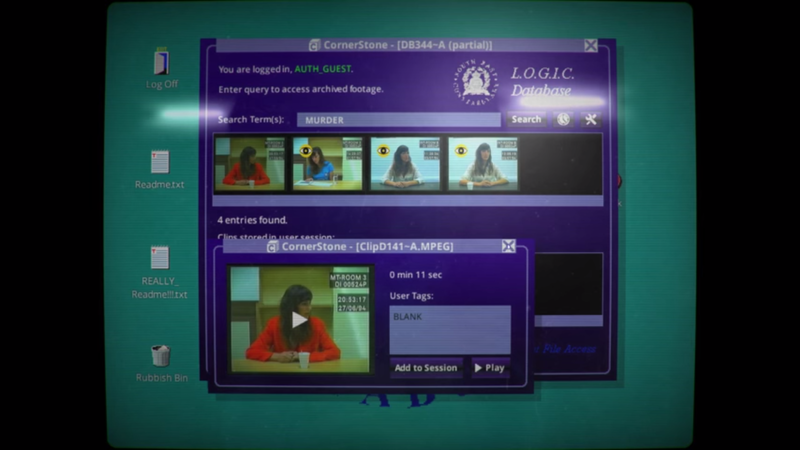 The game revolves around a police database filled with video footage of a woman being interviewed with regards to a murder. The entire mechanic revolves around watching one of these videos and piecing together what actually happened. 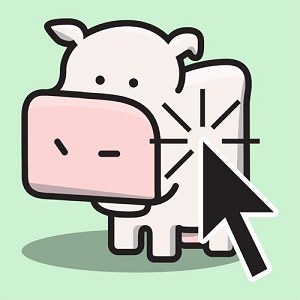 Having watched a video new videos are unlocked which the guest can find by entering a particular key word into the search box. The database is actually quite large and its best to keep the key word as specific as possible. Each video shows an interview the woman gives at a different time period. Each video shows a different side to the woman. But what is most amazing is how much an unreliable narrator the woman is, the story being told changes from video to video, it forces upon us a relationship to the woman we see. Her body language, her reactions, her truths and lies connect us in a peculiarly unemotional yet critical way to the woman in the footage; we bond with the moving, changing and constructed story rather than her herself. The most interesting part though is that there is an invisible wall between us and the character. This wall is formed by the immersion we have into the interactive piece. The amount of information we learn is completely based upon our biases, our opinions and primarily how much we buy into the experience. The more we role play a detective, or a prosecutor, or a defense attorney, the more we learn. At the end of the day one can merely walk away with whatever they believe to be true, but at the same time there is a draw, a hook, a drive to know who actually murdered this woman’s husband. Now, I know that this is not in and of itself a theatrical piece but to me it has many elements that are relatable to the ideas that are proposed in the Epic Theater as realized by Bertolt Brecht. Brechtian theater states that the audience should not emotionally attach to the characters and story but should provoke self-reflection and a critical perspective. In many ways this story forces that upon us. If played with a bias towards whether or not the actress in question is innocent but is best played as a detective breaking down the interviews with an analytical approach and hunting down clues with a hunger for the truth. Verfremdungseffekt is technique of alienating or creating a sense of detachment in the audience so as to ‘force’ them to be critical rather than emotional. 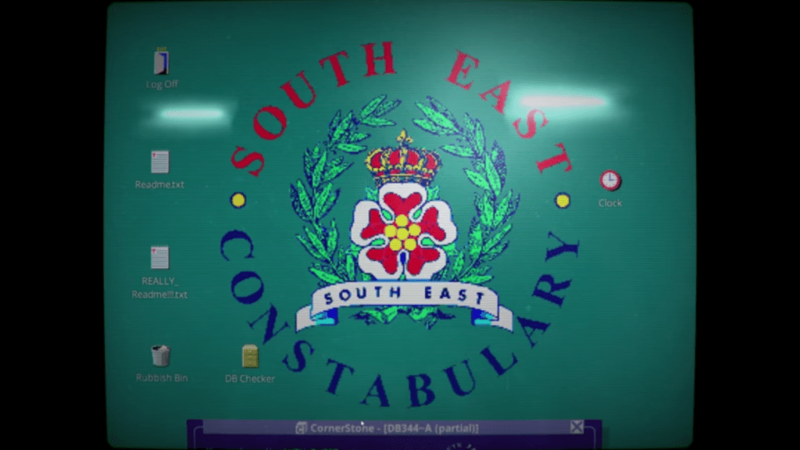 In ‘Her Story’ everything is viewed through a terminal to the police database, the footage looks like that of an old camera. There are no questions heard or interrogator seen, all we see are the responses. Emotionally we are detached from the character we have nothing to form a relationship with her, instead we look for her objectives, we critic her narrative, we question her motives. We use waht we find from this inquiry to delve deeper into the narrative, literally by putting the word into a search box. 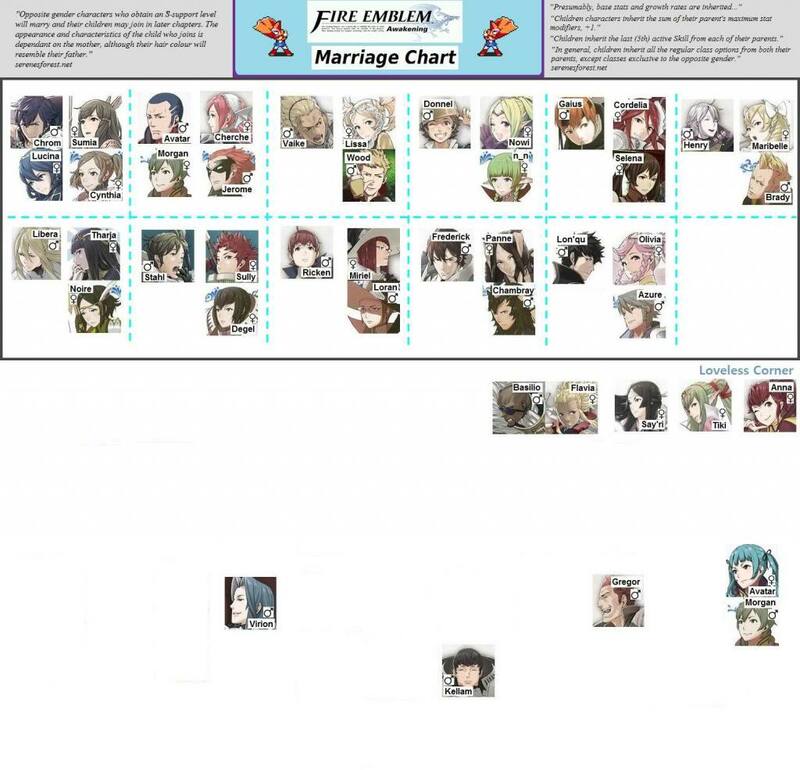 This is a highly analytical relationship which is very different from most games. Normally in a game that is story driven the narrative puts us in a position to want to help someone, the narrative and mechanics are all based upon an emotional connection we have to our surrounding cast, we are the hero or villain who is all powerful. Yet here we are nothing to this character, we are merely watching her in an awkward Alfred Hitchcock-esque method. But the whole purpose of alienating the audience creating a distance between them and the theater is to showcase just as the theater which a representation of reality can be changeable so can reality be changeable. And here we are looking at a person who like ourselves is changing over time, her recollection like ours becomes hazier, stories get mixed up words get changed. In many ways it is as though we are in some vague third person way looking at recordings of our lives and the way that we have changed over time. But here is what keeps me drawn to this ‘game’ such a viewpoint as stated above requires reflection after being immersed, whether emotionally or analytically. The more we contribute in terms of time effort interest the more we receive from the game, the more immersed we become, yet we continue to maintain emotional distance from the character and are connected with the overall experience and narrative without drive. At this point we are immersed in the game and the representation of reality but in some ways are detached from the actors and know that this is merely a representation, merely a game. “On the one hand the spectator must become more distant, on the other he must lose any distance. On the one hand he must change the way he looks for a better way of loo king, on the other he must abandon the very position of the viewer.” – Jacques Ranciere. While I may be pushing it in terms of co-relation as again this is not a theatrical production. I feel that the core construct of what this piece is trying to be is an attempt at creating a narrative that is both linear yet not a narrative where the audience gets as much as they put in a narrative where the audience is moving towards becoming ‘emancipated’. A lot of what Ranciere talks about in his speech has to do with the analogy to a teacher-student relationship. In many ways Brecht in his attempt to show the audience a subject has chosen to be a ‘teacher’. Yet what I understood from Ranciere was that the best way for the teacher to teach, they must allow for the student to mire through the world and find the answer to the questions and the teacher without bias must present all that can be mired through. This is what ‘Her Story’ does well. We find a mass of videos based on what we asked for and it now our responsibility to mire through it. Whether we take upon this responsibility and find something new learn something about this person is up to us,we can just as easily walk away or try another search query. This empowers us as the audience to become able to construct our own montage of representative footage, akin to what Brecht used in his works,yet again it is montage that is provided to us by the ‘teacher’ – the game. We are able to represent this woman, this mirage of what is real, throughwhat we have seen and whatwe have decided upon from an analytical viewpoint. Obviously the game does not speak in particular about a social issue that needs to be dealt with although it does speak a lot about how we change over time and how our memory is exceedingly fickle, I believe that this type of approach can be used to change the way theater and other arts that are pushing to find ways to involve, immerse and empower the audience. But this game does something more than just allow for a singular experience to be constructed and wlaked away from. Due to its very nature of personal analysis it opens up a forum for discussion. A forum where clues are shared, opinions are argued through, where a discourse about this fictional character and the crime committed are constantly discussed. Apply this mechanic or tool or experience generating system to a meaningful discourse or a story about a social issue that is currently prevalent. We now have equipped our productions with an ability that can incite to some extent discourse by the audience, with the audience about their own analysis of a piece of story or narrative that may not mean much as itself, but has through being experience, generated meaningful conversation. We have taught not by giving the answer or by telling the guests or the audience what we believe to be the answer but rather by allowing them to search through a narrative to construct their own experiences and then argue about what truly the experiences and the narrative meant and tried to show. And this argument is not a destructive hate filled one that entertains a third party but rather a constructive one which causes people to re-watch to re-experience to search again in thr hope of finding more. I believe that such games may contain the solution to making an empowered audience, an audience that is not merely given the power to see and do what they want within the construct of affordances provisioned but are able to experience what they want in a meaningful way that can be enhanced through sharing and creates even more inquiry within them. Brecht, Bertolt. 1964. Brecht on Theatre: The Development of an Aesthetic. Ed. and trans. John Willett. 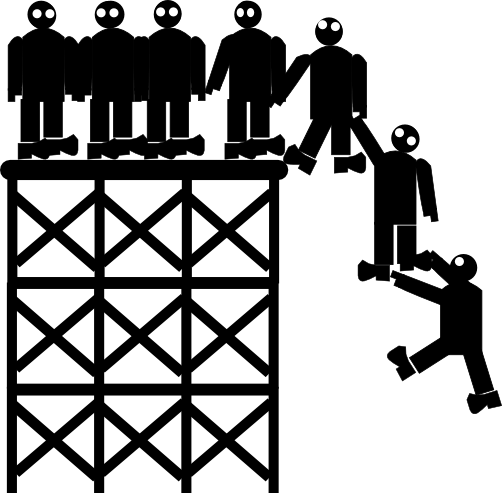 Games of the Persuasive and Tranformational Variety… if that’s even a thing…. Recently I have been spending more time attempting to define the core concept of a educational/transformational game – what I want the end result/tranformation to be. As I spent time on why and what exactly it is that I want people to get out of games that unnecessarily teach, I stumbled (and rolled back a few years) across the idea of ’advergames’ and how they have been ‘molded’ into persuasive games (advergames that focus on strong opinions..). It is all based off the idea of games like any art form can cause have emotional – psychological – expressive – persuasive qualities (Look up Ian Bogost’s Persuasive Games book). Games can communicate a form of opinion and narrative which when wielded by someone with strong opinions (not passionate opinions but strong ones… not sure if there is a difference but there feels like there is a difference to me). There are those games which claim being serious games (pointless name who wants to be all serious and stiff when playing games – remember play is intrinsically connected to fun – refer to my older post… blatant self-promotion…. Sigh…). Serious games are names given to games that think too much of themselves and serious (so-called) game makers are probably full of it (this is an opinion and is in no way proven although it is my serious belief). I mean who wants to play a game that is serious, people play games to have some sort of fun. A serious game is like one of those in-school games that all the kids play knowing full well the game is teaching them something and don’t take seriously at all making up their own rules and giggling while attempting to break away from the seriousness of it all. It is about being a simple idea/opinion. I do not want to teach directly about a concept or enforce or enhance knowledge about a subject but rather merely introduce a thought of ‘Hmm, that’s interesting‘ or ‘I didn’t know that there was another way‘ or even ‘never thought of it like that before‘. I do not want to be all serious about it and force stuff down a person’s throat or make them sit through a lecture-like narrative. In the end if they play a game and sometime later it hits them that such a perspective exists out there in the world, I have succeeded (not really measurable is it…). ‘I want to provoke thought’ (said like a man who dreams of going to Mars in 2025) is a far grander vision than I think what the reality of these games is. Now here I must place a ‘proceed with caution’ sign, honestly not many people who play such a game will get it. I really do think if you want to change the world and the perception of billions I am not sure if that will happen; maybe if you are backed by a billionaire who would fund everything(?, I don’t even know what everything is…). But if your hope is that even one person changes their perception or picks up a book to know more about what you’re talking about, then go right ahead. Another way to ensure success if that’s what you care about is to keep your audience small. Focus on saying I want to focus on 14-15 year olds who are going through identity-crisis (that may be too extreme of a social aspect but I will assume you get the point and move on) or 9th grade science concepts on magnetism (better example of a focused audience). Then the people you serve are the students of 9th grade science and their educators. Obviously you yourself will need to know more than just 9th grade science or the psycholgy of identity issues to make the game but whatever. To build such a persuasive transformational game, (not sure if education fits a similarglove but maybe replace strong opinion with educational matter or EM) first have a strong opinion (EM). Then take that strong opinion and look at some system in the world that best represents that opinion (EM). Now see if you can mold that system into an interactive format (any system that involves actions rather than thought is easier of course if you want to challenge yourself identity crisis may be for you to take on). Do not perform something like ’gamification’ and cpy real life and add menus and nonsensical feedback —- but truly make a game based on the system. Resource management games like Cities: Skyline and strategy games like Europa Universalis are good examples of taking real world systems and using them as inspirations for games. The best game of all time in this sort of vein in my opinion is probably Scrabble. Lastly in order to achieve simplicity and transcendence use your strong opinion (EM) to craft a ‘narrative’ not for the game but for the player to experience as he interacts with the game. and by then we will have won. The PlayStation Vita has increasingly become my go to hand-held console. Not even Pokemon got me back onto using my 3DS again. I find myself enjoying the long hours I spend playing games like Persona 4 Golden, Freedom Wars and the recently released OreShika. However the PS Vita has not been successful. This can be attributed to the dominance of smartphone and tablet oriented mobile games in Japan, the dominance of consoles and PC in Europe, and the tendency of the American market to be skewed either towards consoles or mobile/social gaming. Another factor is the strong library and market control on hand-held consoles by Nintendo. The predecessor the PS Vita the PSP faced a similar situation (note though the mobile and social games industry had not taken off that much during its time), the PSP still had a really strong showing in the market of hand-held consoles. It can be argued that the time of hand-held consoles is over with the idea of second-screen gaming and the mobile/social game market booming, hand-held consoles have been pushed out of the market. This is a valid argument yet Nintendo has still maintained a strong showing and its flagship Pokemon and Super Smash Bros titles have still sold like crazy. It is my personal belief that the PS Vita has been waylaid due to issues in the design of both the console and the games for the console. 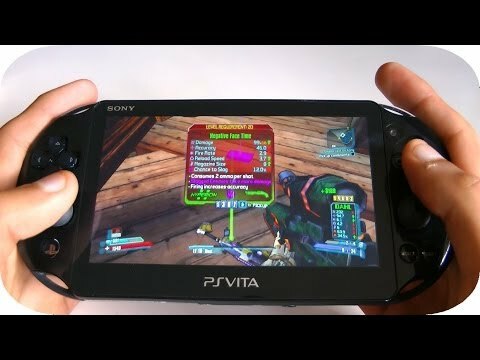 I believe that it has not been shown in its best light and that by making a few changes and figuring out what works the Ps Vita could easily bring a rise in hand-held gaming. Let us start with the console itself. There are two features that make the PS Vita really strong. The first is its ability to stream console games over the network. This makes it such a powerful device as it becomes a place to play even when on the move. While the mobile network speeds have not caught up yet, it is my belief that in a few years and with the rise of Wi-Fi enabled cars this will be possible. This is more of a patience game as the surrounding technologies still need to mature and improve to make the most of this feature. The second great feature is its back-touch screen. This feature suffers from both poor ergonomic design and negligence from the development community. Most games either use the back touch screen for swipe motions during quick-time events or as a substitute for the devices lack of triggers. This really disappoints me – and it makes a lot of games painful to play (cough… Borderlands 2… cough…). All of the genius minds behind Call of Duty, Killzone and Uncharted: Golden Abyss could come up with is swipe to do a quick time knife kill… really? Uncharted: Golden Abyss had some interesting features using the front touch screen but I still feel it could have done more. Tearaway tries some interesting game mechanics with the back touch screen but as a game it is pretty weak. So what can be done to improve this? – Firstly change the size of the back touch screen. This is what I feel causes a lot of issues especially with games that have actions placed on the back. Throwing grenades is not something you want to accidently do nor is accidently attacking thin air with a knife when you’re trying to sneak. The ergonomics of this back area of the device needs more work, when in a frantic situation people don’t really care about the specifics of holding the hand-held and optimize their grip for the prominent actions – this leads to rubbing the back screen accidently… so it needs revision – my idea of reducing it comes from their make the non-interactive area larger so that the act of using the back touch screen is not something accidently or mistakenly done but done with a conscious effort – it really makes it more powerful. I found this conscious choice of using the back screen made feel good in the game Hatsune Miku: Project Diva F which allows for this conscious choice. A player can either use the front screen or the back and I found that in certain cases using the back by choice made it far more useful then accidently touching it. Also Project Diva F comes with some really cool smart-AR features (non-AR code) which really is a cool push to use this device in a different way. I have felt that the best games to play on the Vita were the long hour JRPG style games, not FIFA or Killzone or even the awkward Assassin’s Creed Liberation. I feel this is because the strategy RPG games lend themselves to the hand-held affordances of the device. A hand-held is played during travel or as something to pick up and spend a few moments. In games like Persona 4, I can turn it on and just spend a few in-game days upgrading my character relationships, in OreShika I can spend a few moments changing my load-out or upgrading my town or just spend time talking to Kochin (the weasel-girl below). These games lend themselves to the expected usage of a handheld, more of these types of games are needed. Another factor is that the FPS games and other console-only games do not change from their lazy habits that they picked up from the consoles. The PS Vita has no triggers and two touch screens – it has affordances different from the regular console controller. Again there are no triggers on the Vita… innovation of new ways to bring interaction to the device has to be done and yet the games like Call of Duty Blacklist and Borderlands try to get away with remapping the control scheme to the device instead of changing the whole design of how to play. This is what I believe is causing a lot of trouble for the PS Vita. This issue is also the reason why the whole streaming from console onto the Vita is not taking off as much as hoped. Games need to be specifically designed for the console. God of War which comes from an age of not having an triggers works fine on the Vita and has been well received. In my opinion games that work well on the PS Vita are JRPGs, Third person cover shooters and exploration style indie games. There are also games like Destiny of Spirits and Entwined which do a particular mechanic well and don’t have other actions that can be performed. Currently I am playing Freedom Wars which is a Third person action game and that feels good it uses its mechanics in a way that is great for the bumpers and lack of triggers. Depending on the weapon the bumpers behave differently and are effectively mapped to what actions I would like to perform. It gets rid of a lot of the control schemes by having the controls change based on what state of combat I am in. This makes navigation and the fast paced combat easy to do. For example when not locked on to an enemy my controls are free roam mode, when locked on an enemy my bumpers and attack buttons go into combat mode and when I am engaged in combat but not locked onto an enemy the controls are in an evasive mode. While it does take some time to have all the modes and button-combos really clear for ease of performance, the slow and steady pace at which the initial missions flow and the tutorial system are really well designed to ease the player into using the different modes and understanding the their current action mode state. 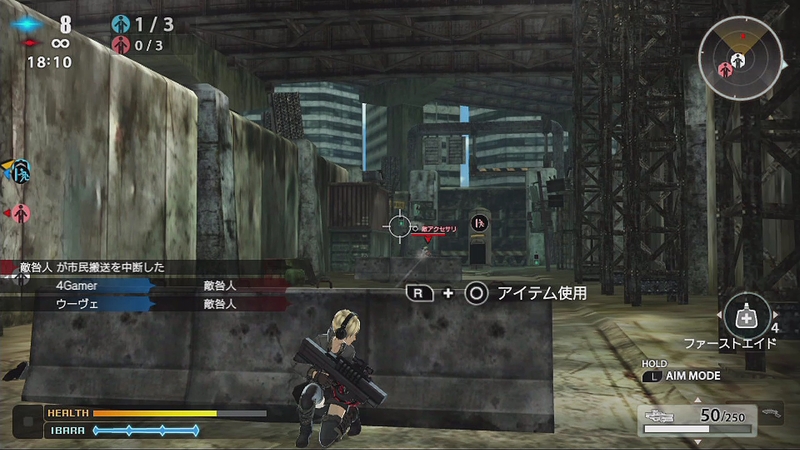 The game also has a UI system that is touch friendly for quick battle instructions so that in the middle of the battle a touch-friendly menu pops up which can allow for ease of play. I find it very useful in situations where I need to give change the fighting style of the party or give instructions to my accessory (in-game companion). The game is not without issues though, it still has trouble with the having multiple actions mapped to the same buttons causing the character to take cover instead of dodging sometimes due to both of them being mapped to the cross button (X) or using navigation mode instead of shooting because of the enemy engagement being broken. The game also does not make use of the back screen, which to me is a missed opportunity in some ways but understandable. 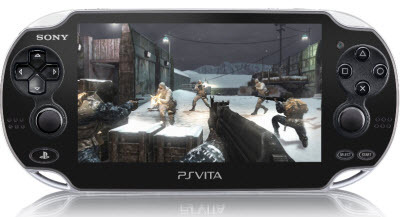 The PS Vita still needs to be iterated on and games that are designed with its affordances in mind need to be built but if that does happen I truly believe the PS Vita can become a strong contender in the mobile/hand-held games market. At this point in time a lot of my thoughts have been tending towards the idea of driving player immersion, not in the sense of drowning the player with the lore and expanse of an in-game world, but creating a sense of voluntary acceptance of the rules that have been set out, or rather creating a state where the player enjoys following in the rules. With this in mind of late I have revisited a lot of the games that have really drawn me in recently and in went about a pondering path of the point where player story (narrative that the player creates for himself) and game narrative (storyline of the game) sort of end up meeting. While these two forms of story may never actually meet bringing them as close as possible drives the player’s ‘need’ to ‘buy into’ the game to enter the circle of ‘game world’ and allow the suspension of disbelief to occur. I have been running into at an increasing rate the idea of ‘play’ while exploring this drive to immerse players. The definition of play is commonly more involved with the performance of activities somehow linked to pleasure, I find that play has a lot less to do with the actual action that leads to play but rather the mental state that creates the definition of play. In an attempt to put it in simpler terms I feel that play is more of a mental state while performing an action of any kind that leads to that particular action for that particular person to fall into the category of actions broadly classified as play. It is I repeat the mental state here that is far more important. I find that for an action to be classified as play it needs to be in some senses voluntary a person cannot be forced to or ordered to ‘play’, then the ‘play’ for me is not true play. If asked to clean a room in a terse manner or with a stern order, anybody would feel that this is ‘work’ and not ‘play’. This then leads to the question of is it truly only the emotion of pleasure that can be associated with play. I also feel that it now becomes necessary to define work which I simply state as completing a task without a shred of emotional attachment. I feel that if even a drop of emotion whether positive or negative gets involved with our work then it creates a sense of immersion. Which means even negative emotions can help drive immersion. They may not drive immersion into the task/quest at hand itself, but it definitely drives immersion into other things. As more and more negative emotion attaches itself to a particular state of action then more and more people get involved with other things to avoid this action is what I believe. Think of it as a sense of reverse psychology, in order to not do something people immerse themselves into other things – at least I find it true for myself. Others may find the negative emotions as pleasurable and may chase after it, thus creating their immersion. A lot of games attempt to have emotions as a part of their story line or in a bunch of cut-scenes in order to create this sense of emotion-action cycle. However I feel that the truly immersive games have the most emotional parts of the game directly encoded into their game play. 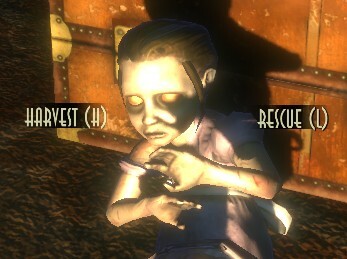 BioShock does this well, in their child harvesting system. There is a sense of ‘nastiness’ with regards to every child that the player can choose to either save or harvest. It is now a known fact that harvesting all the children actually provides less Adam than saving them all – which in some ways could be seen as indirect control on part of the game makers to give people a happy ending, but playing through the game without such knowledge makes it much harder to discern because when the time for the choice comes the player is truly immersed and is thinking about the choice in the moment not for the future or having a structurally laid out plan… but in the moment as a Big Daddy might burst through and kill the low-on-health player.. this emotional action which in turn causes an emotional reaction is what makes BioShock immersive (although the hacking mini-games are horrible and are in some ways the proof through contradiction for the point in case here). I feel like I am truly immersed while playing BioShock not completing pre-ordained task/quests the choice is not merely meaningful in terms of mechanics but also in terms of emotions. While the above is merely a small implementation of a choice mechanic that I was affected by other games play (forgive the pun if there is one) on the sense of emotional feedback in their own ways. In fable 2, if my memory serves me correctly the dog’s appearance and behavior changes as the player tends down an alignment. This behavioral alignment also reflects in how the townsfolk treat the dog. Games like Bravely Default force your hand into performing emotionally charged actions. Thinking about it a lot of games try to bring the rational and irrational parts of the player’s mind together by having the player make a persistent choice. 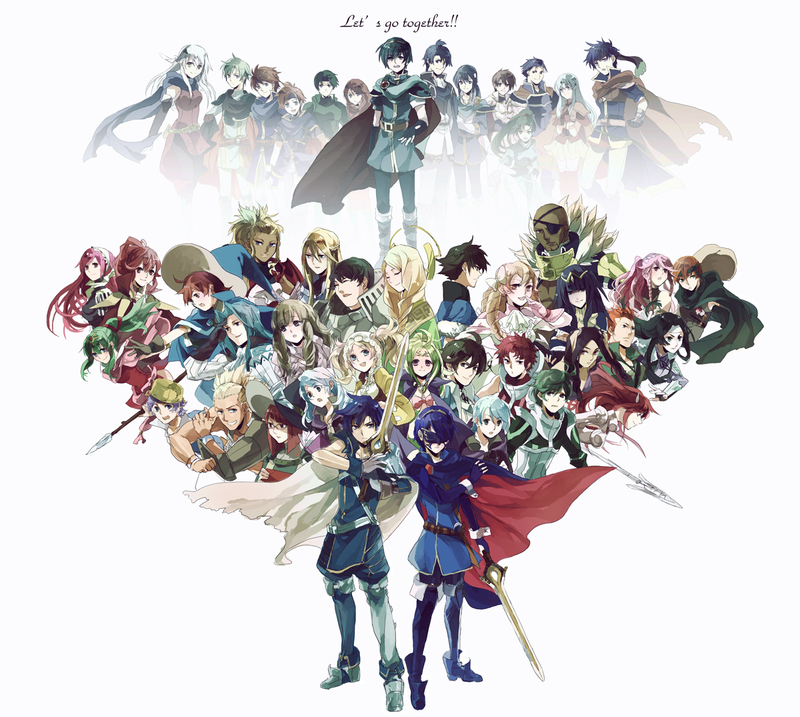 Today we shall explore the game Fire Emblem: Awakening, specifically the characters and the way the narrative of this game buillds into and out of gameplay. The Fire Emblem series of games are a what can be called a Tacticle JRPG in a High Fantasy sort of setting with magic and dragons, where people fight with swords and axes. 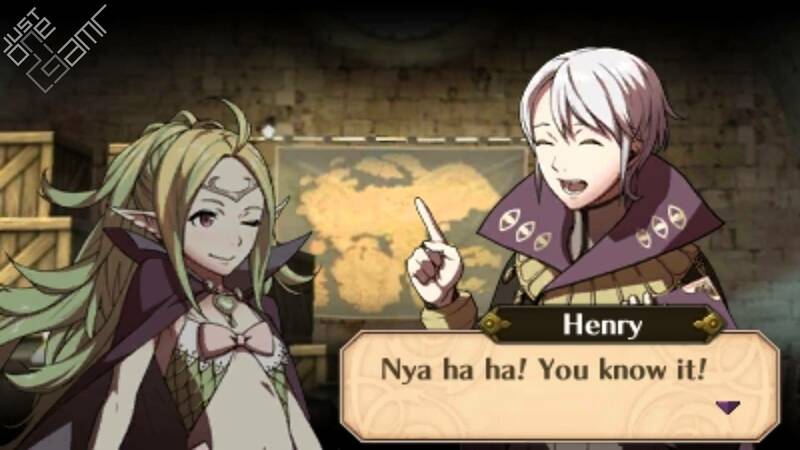 In Fire Emblem: Awakening we play as a stranger (default name is Robin) who wakes up with no memory and help Prince Chrom. Just look at the number of them – I am not going to rattle off about each and every one of these guys, but I will mention that all of them are different, can grow differently, fight with different styles and depending on your style of play are either indispensible or completely useless to your party build. What is interesting though is the idea that each of these characters has a story to tell, and this story is told not by a bunch of character specific side quests or cutscenes but comes out by growing the relationships between the various characters. A lot of games try to do this as well, Persona2-4 being the obvious choices. 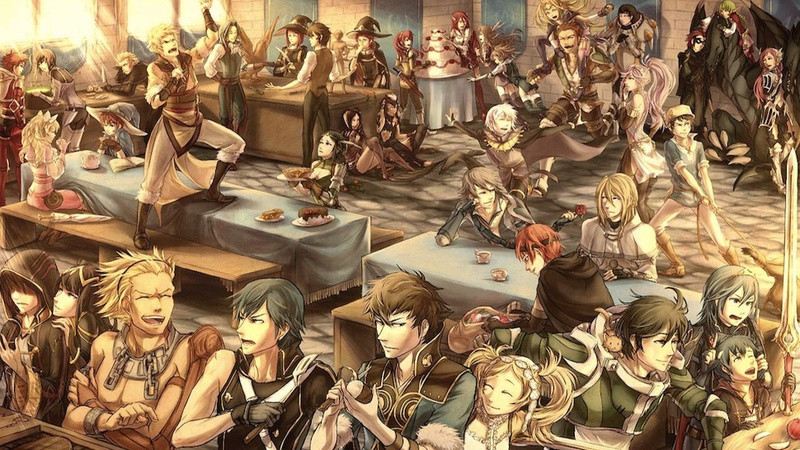 So what makes Fire Emblem Awakening stand out so much? So to start of not only does building up relationship status allow for a bonus stats during the actual tatical battle system but it also permeates into a lot of the storylines of the children that the characters can have… yeah the main characters have kids – awesome right the amount of influence you have on these characters’ life. Well, if you play it long enough you will realize that the kids are always the same for the mothers and it is simply the father who changes but at the same time the child’s skills are based on what the parents skills were going into the story mission for that child so…. some amount of affordance on part of the players chaoices for marriage pairings. It does create an interesting min-maxing for the best skill combos for the child’s skills. At the same time it makes players invested in protecting and playing with certain characters in order to progress not just the story line but to take advantage of the various boosts and buffs that good chraters relationships create. So in games that are played out in the classic style where death is permanent, each character has meaning and wait especilly if the player is going through the game optimizing his/her gameplay for the best outcomes. It should also be noted that if done properly all of the children can end up more powerfull than their parents. As players play through this game not only do their actions directly develop the narrative of each character through this epic journey, but alsoopens up avenues of further narrative and character development of other characters. While I do go on about how great the narrative building is a unique experience of each playthrough there are some flaws. Initial ‘premise-oriented’ character traits are maintained. This means that even if you get two people married to different people, if their intial relationship setup was to be that of a stalker and the stalked then that dialogue kind of still occurs. This does kind of break down the idea that the player has some agency over the relationship storylines and creates some expectancy that the choices would be far more meaningful and can affect even the dialogue. 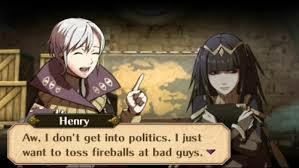 It could be something that could be developed and implemented into future Fire Emblem games. My First Steps… choosing my starter.